Reuters Environment reports on a polar bear study led by Eric Regehr and its findings which were presented by co-author Kristin Laidre at a panel discussion during the America Geophysical Union’s 2016 Fall Meeting. 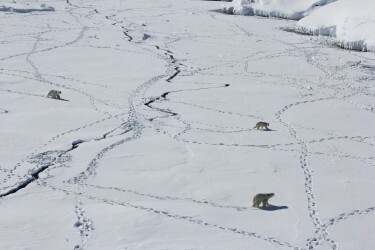 Satellite data documenting sea-ice loss also forecasts declines in polar bear population. Reuters briefly talks to Regehr about the specifics of the global assessment.